This club is for the audience to watch movies and for the artists to create. Immigrant filmmakers are making independent movies. These movies have immigrant themes but with universal emotions. Many of these films don't reach wider audience. But with the new technology, we are able to bring these movies for you to watch. It is a collective effort of filmmakers and artists. These films are being made with a lot of passions and hard work. We believe you will enjoy these movies. 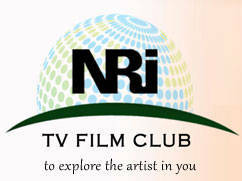 Please join the NRI TV FILM CLUB. We thank you for supporting and creating the NRI-wood. NRI TV FILM CLUB is to promote talent of Indian origin(NRIs) and multi-cultural talent in America and immigrants worldwide in the area of film, television and new media. Please Join Us "to Explore the Artist in you." 1. (Commonly known) Indians living outside of India. There is an immigrant world in America and Worldwide shaped by many different cultures and self-identities. Our stories are about immigrants but they are universal in emotions. Our stories are about NRI's, made by NRI's, with NRI's. Tirlok Malik (CEO of Apple Productions) is a New York Emmy Award nominated filmmaker. Apple Productions has produced many films since 1990 starting with its first pioneer film about Indian American immigrants, "Lonely in America." Tirlok Malik of APPLE PRODUCTIONS and NRI TV FILM CLUB Team bring you this experience.